Fujifilm just put their X-Series mirrorless cameras within reach of normal people. 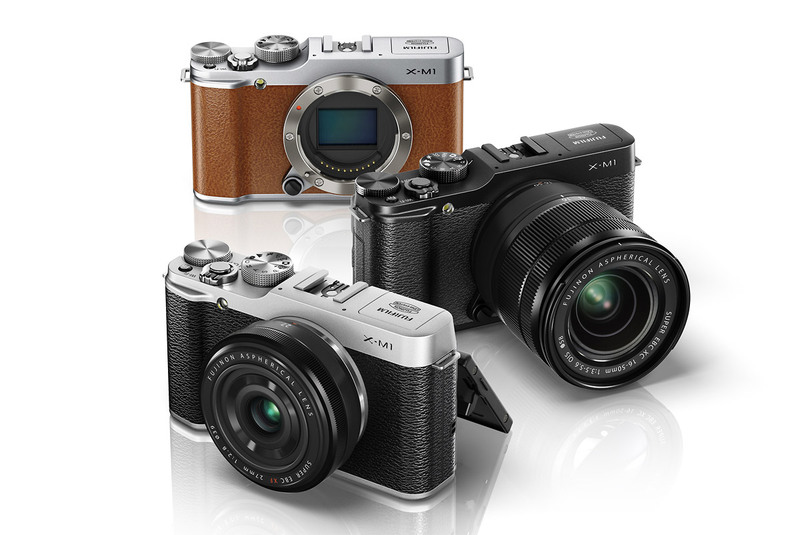 The new X-M1 does away with the EVF and adds a tilting LCD display and built-in Wi-Fi. And you can get it body-only for $699, or $799 with the new XC16-50mm f/3.5-5.6 OIS zoom lens. I think this one is gonna sell like crazy. What do you think? Has anyone been holding out, waiting for the price to come down? How does $800 with a lens sound? Is that the tipping point? how´s the raw processing of the fuji sensor nowadays ? I'm seeing people getting rid of their DSLRs and getting the OMD and Fuji's pro1, xe1 now this ? Last edited by armando_m; 06-24-2013 at 07:32 PM. Armando I had the Xpro1 for awhile and I think they have the best lenses. They approach Leica quality. The noise at high ISO is low for a cropped sensor too. But Olympus whips Fujis ear end when it comes to focusing. I wouldn't trade my full frame for a mirrorless camera. There is a huge difference in dynamic range and color depth. Also when I process images the detail is just way better and no artifacts. Has the X-M1 improved the somewhat challenging and slow AF on the X-E1? I can't see myself getting the X-M1. I like EVFs. I don't believe so. There has been a firmware update that's supposed to improve the auto focus, although I haven't tried it so I can't say how much better it is. I think for real auto focus improvement, we're going to need to wait for the next generation, when they incorporate the new sensor they introduced with the X100S. That sensor has on-board phase detect pixels and is supposed to give the camera much better AF performance.